After our scenic drive through the countryside, we reached Bath late in the afternoon. Our first task was to find ourselves a place to stay, and after a few misses we did find a quaint little B&B nestled in a small village near Bath. Once we had settled in we decided to explore the City of Bath. Bath lies on the banks of the river Avon, and as the name suggests, has a magnificent temple and Bath built by the Romans. It has now been designated as a UNESCO heritage site. The Roman Baths themselves are below the modern street level. 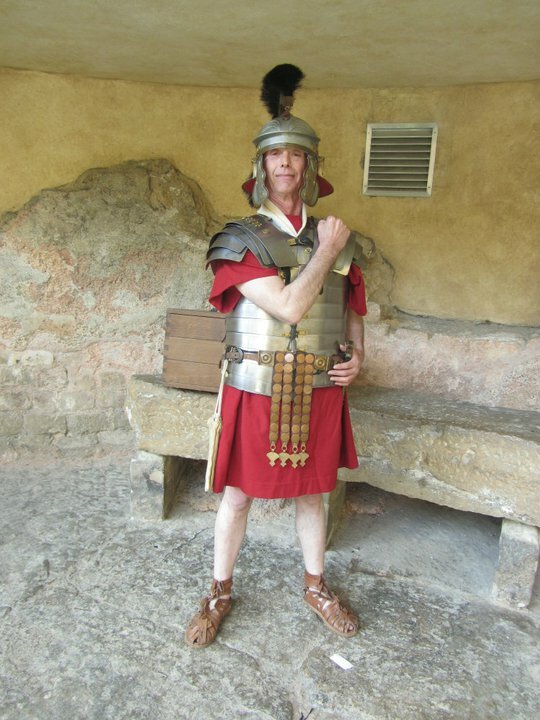 They have four main features, the Sacred Spring, the Roman Temple, the Roman Bath House and the Museum. The actual Bath is magnificent. It is still fed with hot spring water from the source. 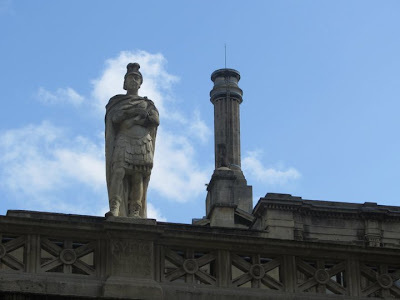 ﻿ It’s surrounded by pillars with statues of Roman kings including Julius Caesar. After we had walked amongst the ruins on the Roman Baths we emerged into the late evening sunshine and did what we like doing best – simply walking. 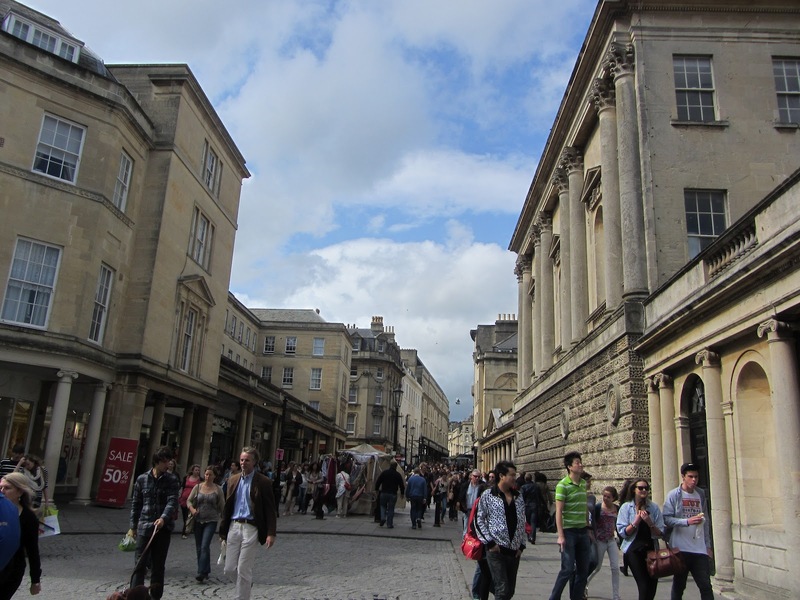 Bath is quintessentially Roman, it’s reflected in its cobbled streets and its fantastic old world architecture. Late in the evening we went to a little Pub for dinner. I had wanted to see a traditional British pub for a very long time, with its oak furniture, draught beer and perhaps a game of dominoes being played in a corner. After Breakfast the next day, we decided to drive to Stonehenge. Now Stonehenge is another UNESCO Heritage site and is truly a site to behold. 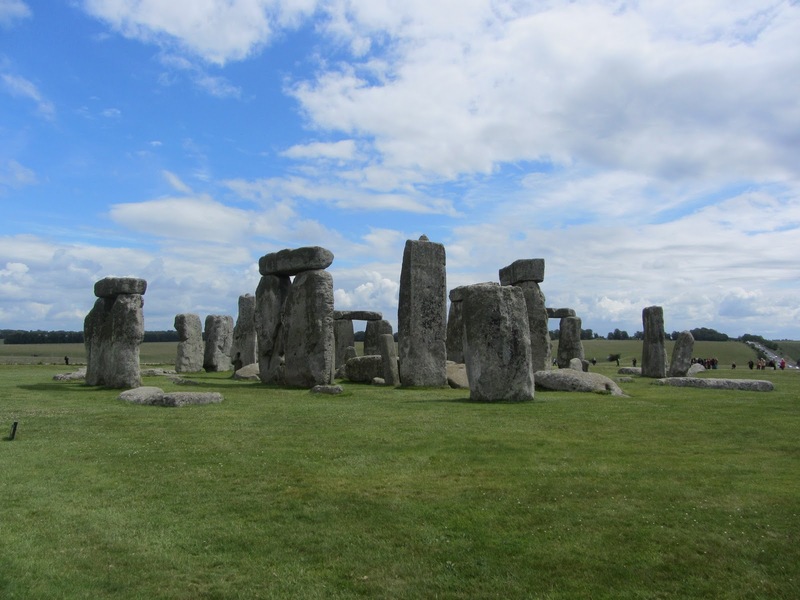 It has huge stones set in a circular pattern and is one of the first Neolithic and bronze age monuments in Britain. Stonehenge’s history is not very clear, some believe that it was constructed as a temple for sun worship, some take it as a burial ground and some consider it as a healing center. It’s a mystery how so many huge stones were carried so far away and how such a magnificent structure was built using the most primitive of tools. 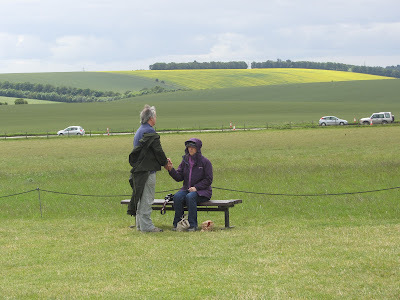 Standing remote and aloof on a great hillock, Stonehenge is an awe inspiring site. Bath and Salisbury plains both are very beautiful places to see! 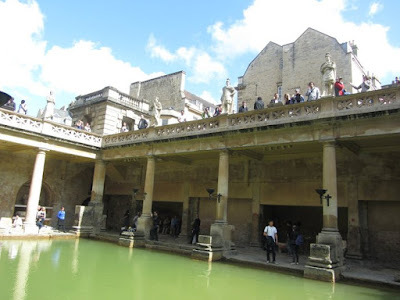 I loved the architectures and ruins at Bath. Stonehenge is a great place to picture during sunset.. Wonderful diaries....never been there but hope to visit sometime :). I love the countryside...here, I can escape to one very close to my home....hills (green in spring/early summer, brown in winter), cattle, and cute ranches. @Vaish:Yes I did so badly want to capture stonehenge at sunset but it was an extremely cloudy day ! @Shachi:Glad you enjoyed reading them ! Lucky you to stay in such proximity of nature ! Stonehenge! Now let me read. The last picture is simply awesome. Sigh. Stonehenge is something I so want to see. The fish and chips looks yum. Did you enjoy it? It must have been such wonderful experience to get that feeling of being in a different era at the Bath. 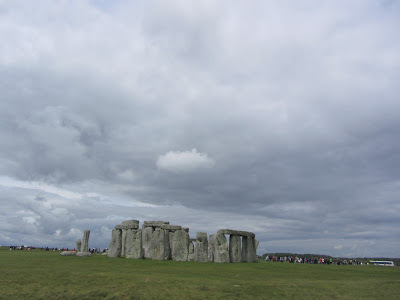 @Shail - Stonehenge is worth seeing. They say it looks wonderful at sunrise or sunset but unfortunately it was cloudy the day I went there ! Stonehenge always has its own mysterious image. I like the last picture a lot!